Northwestern Physics and Astronomy Profs. Shane Larson and Vicky Kalogera both contributed to the discovery of the neutron star collision. The discovery occurred on Aug. 17, and the results were published on Oct. 16. During her postdoctoral years at Harvard University, Northwestern physics and astronomy Prof. Vicky Kalogera said she started looking into gravitational wave astrophysics as a side project, despite discouragement from others. However, Kalogera said she continued to study gravitational waves and joined the Laser Interferometer Gravitational-Wave Observatory Scientific Collaboration, a group of scientists dedicated to exploring gravitational wave science. The LIGO Scientific Collaboration used LIGO detectors and the Virgo detector from the Virgo Collaboration in Europe to first record a neutron star collision Aug. 17. The antennas detect gravitational waves. The “multi-messenger” discovery was announced by the collaboration Oct. 16 as the first of its kind because the collision emitted both gravitational and electromagnetic wave signals, Kalogera said. The neutron star collision discovery comes less than two years after a team of scientists, including NU researchers, first detected gravitational waves. The collaboration consists of more than 1,000 members from over 100 institutions worldwide, according to its website. Thirteen of its members are from Northwestern. Kalogera said NU played a large role in the discovery of the neutron star collision because participating faculty members are leaders in both gravitational and electromagnetic wave research. On the day of the discovery, the collaboration published six academic papers — NU faculty either led or “heavily co-led” four of them, she said. Kalogera added that while she was the leading astrophysicist on the discovery, all NU team members significantly contributed to the discovery. Physics and astronomy Prof. Shane Larson, who worked with Kalogera on the gravitational wave side of the discovery, said the team focused on analyzing the gravitational wave data the detectors received during the collision. Before the announcement of the discovery, Larson said he and Kalogera were heavily involved in the final writing process of the two flagship papers released by the LIGO Scientific Collaboration that described the collision. The papers start as a collaborative process with thousands of writers and are narrowed down to a smaller team that produces the final paper, Larson said. “All of us are on the papers together … and everyone has some part that they play in this (discovery), so it’s hard to look at any given discovery and say, ‘This is what I did,’” he said. 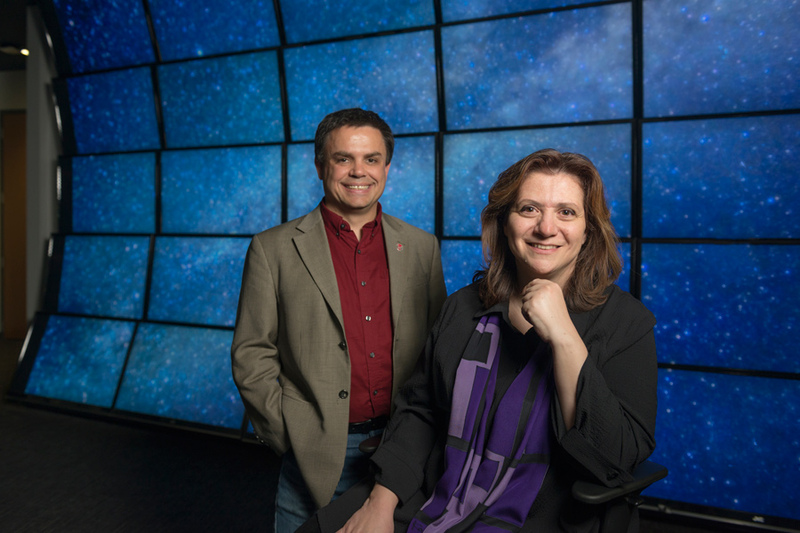 Physics and astronomy Prof. Raffaella Margutti, who led a team on the electromagnetic wave side of the discovery, said the team used a Dark Energy Camera, which can detect electromagnetic waves. The camera was used to locate the galaxy where the collision occurred based on the general location of the gravitational waves detected by the LIGO Scientific Collaboration, Margutti said. Once the galaxy was located, Margutti and other team members worked on observing light waves emitted from the collision. Margutti said the collision emitted visible light waves for 10 days, and then switched to X-ray and radio waves that are still being recorded. Margutti added that the discovery of the neutron star collision and subsequent explosion confirmed the theory that the event could be another place in the universe where heavy elements, like gold and platinum, are formed. Shortly after the Aug. 17 discovery, the LIGO and Virgo detectors went offline for updates and improvements, Kalogera said. They will come back online early next year. The improvements will make the detectors more sensitive, and may lead to future scientific discoveries, she said.